IR markers can be used for identification in any place. Wherever no HF radiation is desired (can be easily detected) and a line of sight exists. Our IR markers are tailored to the customer´s requirements: low power, high power, long operating time, short operating time, and the respective dimensions are accordingly. We mainly manufacture IR markers in the 880 nm range, however, we can also produce them in the 860 nm or 940 nm range. They are frequently used by ground forces, but also in technical devices for identification purposes from the vehicle. 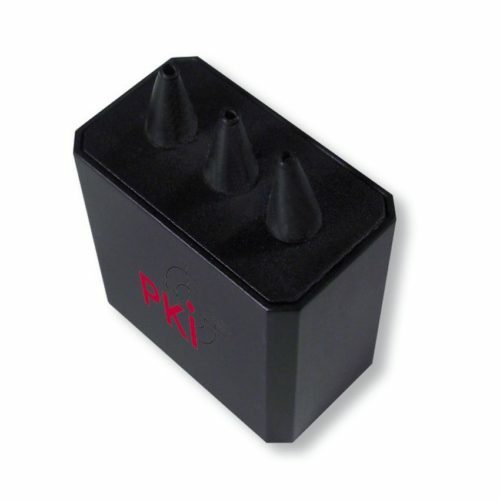 The PKI 8105 standard device weighs only 80 g, is 50 x 50 x 10 mm in size and can thus be installed unobtrusively anywhere.